Do you like Pharaoh Mummy Guard Treasure? Share it with your friends. 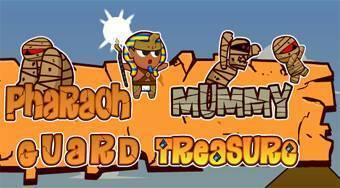 Pharaoh Mummy Guard Treasure - move around the game board with the pharaoh and a mummy, collect all the hourglasses, dispose of enemies and get both heroes to the treasure chest.